Telcom Sat, owners of TSTV Africa are set to commence sales of their decoders on April 1st 2018 according to recent announcement via TSTV official social media handles. Remember TSTV lunched in Nigeria on October 1st 2017 and are yet to start commercial sales, making Nigerian to doubt if they are ready for business or not. Although rumours has it that TSTV are undergoing some tough battles, some of which includes getting the right to air relevant sport channels and also some financial constraints. Some say they are being "witch hunted" by the monopoly brand, DSTV. 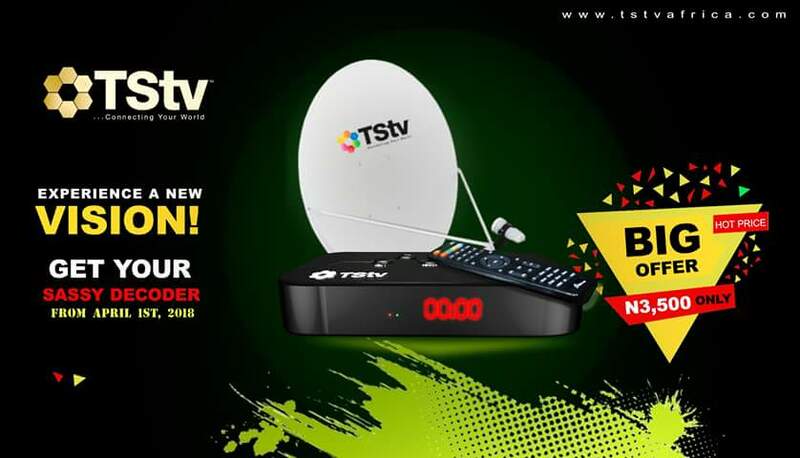 TSTV has been airing free to air FTA channel for six months running which most Nigerians are enjoying using any FTA decoder like Strong or Qsat, rumours also have it that it is due to a "compulsory six months test" issued to them by the Nigerian authorities on broadcasting. If this is true, I wonder why they didn't tell their heartbroken proposed customers, why wait till after 6 months? Onlike the previously advertised TSTV Decoder, the new decoder is call TSTV Sassy decoder, it has less functions than the previous one. This Sassy decoder is a PVR decoder but lacks internet capabilities. I was at one of TSTV offices in Lagos and was told that the Sassy decoder will be the first decoder that will be sold, later they will introduce another decoder that has internet function. Where Can I Buy TSTV Sassy Decoder? 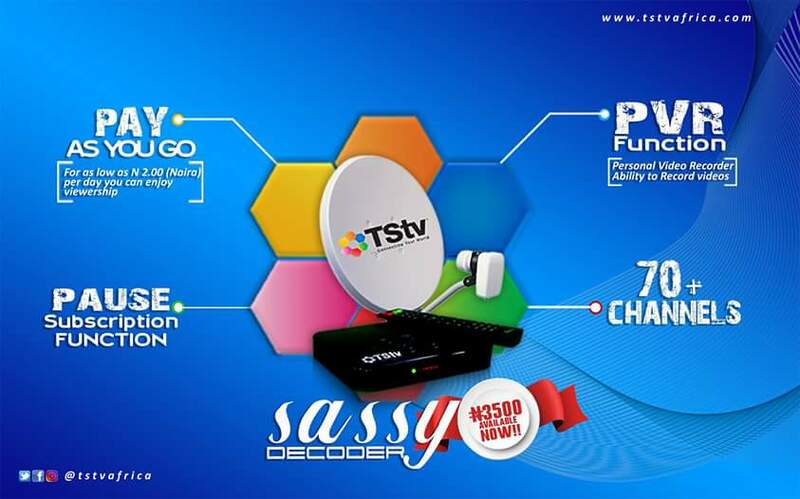 TSTV Sassy Decoder plus Dish and one month full subscription will cost only N3500 as against the previous N5000. Will this be an "April Fool" from TSTV? Hmmm, it's just few days away to know if the events of October first won't repeat itself again because they will surely loss their integrity if they fail to commence sales on April 1st.